Cards with heart for a gentler life. 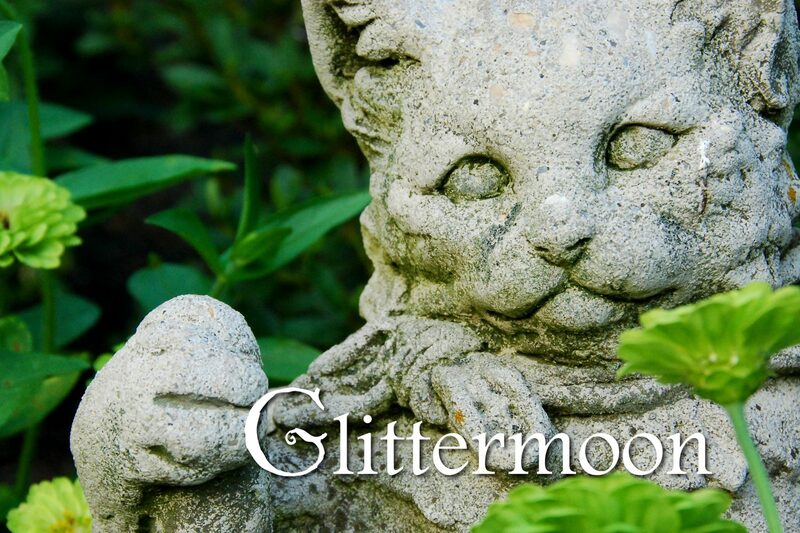 Glittermoon Cards are designed around my photographs and reflect the beauty I see in the world. Every one of my cards has been created with great care to be worthy of your special correspondence. I painstakingly match one of my images to every quotation or greeting that appears on the face (or inside) of the card. Sometimes I start with an image and then search for just the right thing to say. Sometimes it’s the other way around and I comb through my photo library to find the perfect picture. Whichever it is, the process is a happy one for me. I hope the end result is a happy one for you. Thank you for visiting Glittermoon Cards. Please come back and see us soon and often. The garden gate is always open for you. Once a design is completed, I send it to a small printing company right here in Richmond, Virginia. I believe in keeping things local! Cards are printed digitally on a heavy card stock. The front is glossy; the inside is not, so that you can write your message with any kind of pen. Cards measure 5 x 7 inches and come with envelopes. Cards are blank inside except for Birthday, Christmas/Holiday, and a few other assorted designs. These exceptions will be shown with the inside greeting on the website. Christmas/Holiday cards come either singly ($3.50 each) or in a package of 10 of the same design. The packages come in an earth-friendly cellophane wrapper with envelopes. Packages are $22 each. Notecards measure 4 1/4 x 5 1/2 inches and come in a pack of 6 assorted designs in an earth-friendly cellophane wrapper. Envelopes are included. Notecards are a perfect size for thank you notes or those times when you just want to dash off a quick hello. Notecard sets are thematic with several topics, such as gardens, animals, beach, Italy, etc. There are many sets to choose from! Notecard sets are $9 each. Gift Tags are 3 3/4 x 2 1/2 inches. They are hole-punched in one corner and I hand tie a piece of ribbon to each one. Gift tags are $1 each.